Second largest 2-month drop in global average satellite temperatures. Largest 2-month drop in tropical average satellite temperatures. In the tropics, there was a record fast 2-month cooling of -0.56 deg. C, just edging out -0.55 deg. C in June 1998 (also an El Nino weakening year). The June anomaly is well below the dashed red line which represents the average cooling rate required for the rest of 2016 to tie 1998 as the warmest year in the satellite record. So far my prediction that 2016 will end up being a new record warm year is not shaping up too well…the cooling we are seeing in the troposphere really is spectacular. Just remember, the temperature anomaly can also temporarily rebound for a month, as it did in late 1998. The “official” UAH global image for June, 2016 should be available in the next several days here. The recent El-nino allowed non-scientists to falsely claim support for predictions of rapid catastrophic C02 driven warming. Yet it is clear that old IPCC predictions of rapid warming were wrong. Temps are now drifting further from old IPCC-AGW predictions. 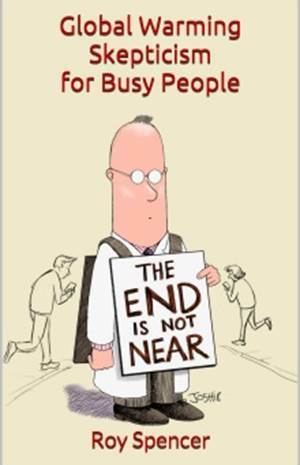 At what point will professional opinion flip, publicly, whereby a 97% of scientists agree that there is no AGW crisis? John Christy has covered that ground thoroughly, David. See his Congressional testimony from earlier this year. Also, Roy Spencer in previous posts. The climate models have egregiously failed to reproduce actual conditions. It will get worse as the trend turns to cooling. Or perhaps you mean for your link to be taken as a joke. It is generally recognized that John Christy’s graph is bunk. There is a reason it hasn’t been submitted to a peer reviewed journal. How goes the indoctrination in the public schools of Oregon, David? Are the little kiddies shaping up? Or do the school authorities have to threaten some of them with sanctions? You’re so damn smart; Tell us then, what’s the reason it hasn’t been submitted to a peer reviewed journal? Your argument was long ago countered by obvious IPCC per decade warming projection failures. They say it was expected to warm by at least .30C per decade,but UAH satellite data show less than half that rate. In 1990,the IPCC projected between .15C -.30C per decade warming but the Satellite data show a .12 C per decade warming rate since 1979. The more accurate satellite data show a SMALLER trend rate from 1979 onward. When are you going to admit it,David? The comments in the thread very illuminating. It is generally recognized that John Christys graph is bunk. There is a reason it hasnt been submitted to a peer reviewed journal. The hijacking of climate journals by warmunists as noted in the climategate emails explains it nicely. Youre spinning that bull yet again. Youve even quoted the IPCC yourself saying different. Shameless. For the next two decades, a warming of about 0.2C per decade is projected for a range of SRES emission scenarios. Youve seen both of these quotes and been given the links. When will you tell the truth? We’ll have to wait a decade or two to see if those predictions pan out, so saying they’re ‘failures’ is a little bit premature. Oh please. Spencer and Christy still submit papers. No one stops them. They currently have at least one submission undergoing review. David… where is the 97 98 el nino in that plot of observed temperatures? Seriously, how did they reduce that monster to a tiny bump? With a pencil and eraser. This is reflected in the graphs. And why is the NOAA crowd under investigation, David? Maybe for this sort of twaddle. UAH data is not so rubbery, is it David? calculate the temperature of air. You don’t have any chemistry education or you could answer these questions. You’ve been chased around so long ducking that question you’ve spent months hiding from it. Get the answers and explain your grasp of gas chemistry thermodynamic law and solving for temperature. This is FUNDAMENTALS in gas chemistry. to solve for temperature in atmospheric/gas chemistry? We have been waiting years for you to show some actual evidence that man’s CO2 is causing dangerous global warming. When are you going to show us that evidence? BTW, which of those events had never occurred before man’s CO2 became significant in about 1950? How do you explain the fact that the best data we have, the satellites and radiosonde show no warming for almost 1/4 century? The graph on your link shows that recorded temps are at the lower end of forecasts. So the high end-rapid predictions are falsified, David. The lower end forecast may still be borne out in years to come. However, the end of the El-nino will take temps to or below the lower bound of past predictions. How do you falsify the future? Because that is what the high end prediction is: something that may happen in the future. I meant “past forecasts”, from 25 years ago- as mentioned above. You’re spinning that bull yet again. You’ve even quoted the IPCC yourself saying different. Shameless. You’ve seen both of these quotes and been given the links. When will you tell the truth? I told you fools but you wouldn’t listen to me! Global cooling here we come! Lol lets just see if 2016 is the warmest year on record! I’m just dying to know! That’s all I’m going to say on this thread! I didnt Come here for an argument I let people form there own opinions on what’s really going on! Peace out suckers! > Thats all Im going to say on this thread! I suggest decaf next month. I’ll see you fools next month when the global temperature falls down even more! I wish you the best of luck dr spencer on your prediction for 2016 being the warmest on record however I don’t bet that your prediction will come true. Even if 2016 turns out to the “warmest”, by what amount? 0.02C? And what would that really portend for the future, other than nothing. More bad news for the poor global warmers, it seems that Ma Nature just loves to torment them. She gives them an El Nino spike and they go “whoopee!” and then she turns it into a coffin nail. Slim chance of 2016 as the “warmest yeah evah”, and now we are looking at a La Nina for the next two years, if the 1999-2000 La Nina is any guide. Note that the anomaly then hovered below the baseline, so by the end of 2017 there should be a slightly negative trend. At the present precipitous rate of cooling, we could reach the baseline before December. The bottom line is this: a flat or cooling trend extended into the next decade, no El Nino spike-hype for the AGW scare-mongers for ten years or more. It seems that Ma Nature has decided to give AGW a knock in the head. Thank you Dr. Spencer. I enjoy reading your posts, especially the back and forth between Dr. No, John, Paul, RAH, Ghung and others -vs- Garan, MPainter, Lewis, Massimo PORZIO, fonzarelli, Salvator Del Prete and others. Extremely entertaining. I’m not prone to posting much, my back ground is compressed air and hydraulic systems. My Hydraulic Engineering degree prepares me to understand heat transfer in a confined system using heat exchangers air/oil and water/oil for heat dissipation, however, the heat transfer in the atmosphere is too chaotic for me to make any informed comments about. Your explanations compel me to read more NIPCC reports in which your contributions are quite valuable. We watched the heat from El Nino pass through the atmosphere, on it’s way to space. Now, the atmosphere is cooling. It’s almost as if the atmosphere can’t “trap heat” very well, huh? well, the more it heats, the faster it cools. Always trying to strike a balance. At what temperature than balance occurs, and whether it is changing, is the $64 trillion question. Maybe someone just forgot to close the roof on the “greenhouse”. Nice gentle needling Geran. Dr. Spencer has spent significant time incarcerated under the “greenhouse” doctrine. As a Luke-warmest, it is going to take a considerable mountain of evidence to bring him home from the Trenberth energy budget for the earth. His work brings a much needed non-partisan view of atmospheric temperatures, and his position that CO2 causes “some” warming probably insulates (pun intended) his UAH temperature data from the kind of attacks in the earlier e-mail he posted. That said, I still anticipate the day when he acknowledges that CO2 (at .04%) of the atmosphere has no effect on the earth’s temperature. There is just too much conflicting physical properties manifested across our solar system for the Trenberth model to be accurate. Proof CO2 is a non-factor rests in a disjointed set of facts, but if prosecuted together show the CO2 warming position to be unsupportable. What is the mechanism that is causing the cooling? Is outgoing IR increasing, so why? The heat is in the oceans as the result of insolation. El Nino is due to a “pause” or diminishment of meridional overturning circulation of the oceans, aka upwelling. The abyssal water, circulating to the surface, acts as a coolant and thus La Nina. When the circulation of the “coolant” to the surface stops, as it does periodically, SST warms under the sun and El Nino results. In oceanographic terms, this upwelling circulation is known as Eastern Boundary Currents. In La Nina conditions, this current (the Humboldt) is at maximum force, flowing northwards off of SA and turning west at Peru, flowing along the equator. This activates the Walker Cell circulation, an equatorial easterly which proceeds to amplify the upwelling very considerably. Thus “coolant” is copiously supplied to the surface along the Pacific equator and so La Nina. Will 2016 set a new record for UAH? There are many similarities between 1998 and 2016. There was an extremely strong El Nino which caused records to be set in the beginning of each year. Then there was a drop in 1998 and so far, there is a similar drop in 2016. The difference between quarters 2 and 3 for 1998 for UAH6.0beta5 was 0.165. The difference between quarters 1 and 2 in 2016 was 0.169. Very close! There are several different approaches one can use to arrive at the best guess as to whether or not 2016 will set a record. I have decided to give the averages for each of the four quarters in 1998 and the first quarter of 1999 as well as the four quarters of 2016. The first quarter of 1998 will be called 98(1), and so on. And here are my estimates for what we do not know. This gives an average of 0.407 for 2016 putting it into second place between the 0.484 of 1998 and 0.338 from 2010. Obviously, I could only give the first two quarters of 2016 and I had to estimate the last two. Feel free to comment on whether you think my methods are good or whether you think they are out to lunch. I took the difference between the following quarters: 4 and 3 of 1998, and 1 of 1999 versus 4 of 1998. Then I applied those differences to quarters 3 and 4 of 2016 and put those numbers in ( ) above for 16(3) and 16(4). Then I calculated the average for 2016 based on those numbers and compared that to the 1998 and 2010 averages. Werner, see my latest post. I compute that as long as the rest of 2016 stays below the June value of +0.34, 2016 won’t be a record warm year (and I now think it won’t be). Is that consistent with what you are getting? Yes, I do not know the value of 0.34 to 3 significant digits, but using 0.34 for the next 6 months, I get an average of 0.479 for 2016 which is a virtual tie with 0.484 for 1998. Compare the 1998 and 2016 values and you will see how the winter and summer months affect the global average. Almost no effect in the summer while a quite significant effect in the winter. This is why the 2016 global anomalies were higher than 1998 early this year and are now falling below those values. The El Nino itself is fading in a similar fashion. Now, if the AMO shows a major drop along with the coming La Nina and more ice forms in the Arctic then we could see anomalies similar to 1998-99. That would reinstate the pause quickly. The GFS/CFSR surface temperature anomaly estimates seem to track the TLT estimates better than the GHCN based estimates since 2014. It will be interesting to see how the GHCN based estimates compare for June. Well, my 0.2-0.3 guess was aggressive based on Ch. 6. 0.34 is still a healthy drop though. ch. 6 has calibration drift problems. I would not advise using it. At what value has the hiatus lasted the whole of the satellite era? In fact, the only warming of the satellite era is the step-up of about 0.3 C seen circa 2000-2002. This warming may be inferred from the record peak of the El Nino of 1998. The temperature trend prior to this El Nino is flat and the trend after 2002 is flat. So the temperature record of the satellite era is two flat trends connected by a step-up of about 0.3 C. However, the practice is to plot a trend since late 1997. This has been flat or slightly negative until this last El Nino (the spike-hype). The trend is now tilting back to slightly negative with the current La Nina. As I’ve said many times before.. The ONLY warming in the whole satellite era has come from the El Ninos and the normal ocean fluctuations. Neither of these is CO2 forced, so that means….. THERE IS NO CO2 WARMING SIGNATURE IN THE WHOLE OF THE SATELLITE DATA ERA. Wots up with the images on this page ? “You don’t have permission to access /wp-content/uploads/UAH_LT_1979_thru_June_2016_v6-1.jpg on this server. as I’ve mentioned before, the web hosting company has a small limit on cached data, and the image files are by far the largest. I’ve complained about it, and they are working on a solution. In the meantime, I have to manually purge the cache to fix the problem. If traffic gets heavy, it can be only an hour or so before it’s clogged up again. You could host images externally at tinypic, postimage or even at google picasa. There a huge choice of external image hosts, and in my experience they are all free of charge. I do see the images now though. Thanks for explanation, Dr. Spencer. This is sad news, I was hoping for more Glowbull warming. 1997/8…2015/16. It is deja vu all over again. Only difference, this time around I have grey hair. Coincidentally (? ), The Blob is fading away. The recent drop in global temperatures is due to the ending of EL NINO. The recent spike in global temperatures was due to EL NINO. CONCULSION – Natural climatic oscillations are in complete control of the global temperatures and CO2 has nothing to do with it. Peer reviewed Climate Science is another way of saying ‘job security’ or, ‘collusion’! We basically have Mann-made-up Climate change! Well the “terrible, horrible, deadly, record setting heat wave” in the desert SW US is certainly over. Did a team run to Nogales, AZ. 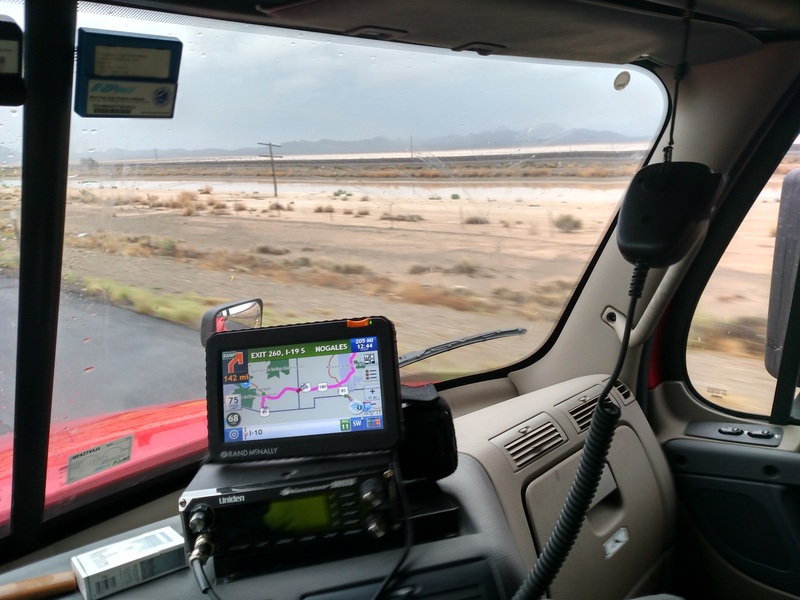 At 07:23 local time on Friday at the 11 mile marker on I-10 heading into Arizona from New Mexico through that table flat desert valley it was 68 degrees, raining, with lakes of standing water as far as the eye could see. 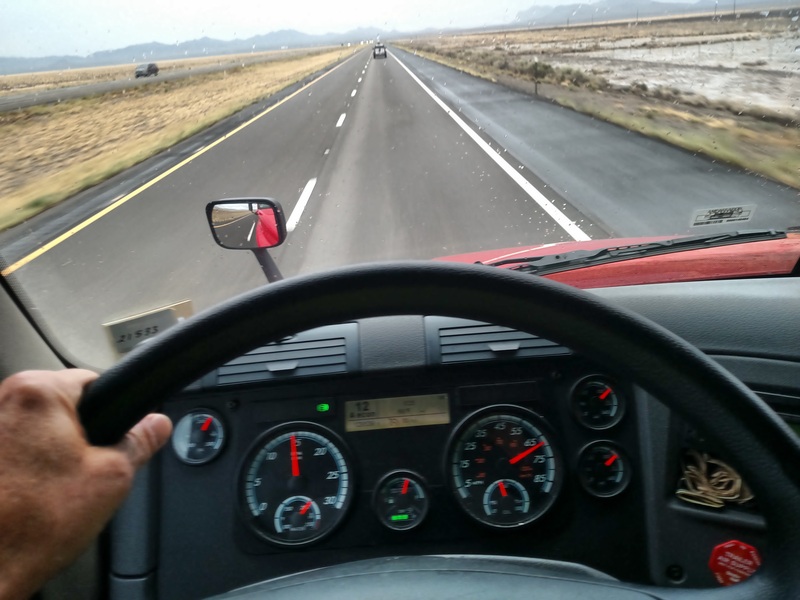 We delivered at Nogales right on the border then picked up on the North side of Tucson and were headed back east on I-10 by 16:30 local and the temp did not get above 89 deg. F all day. That’s standing water off in the distance behind that RR embankment. Can someone answer this question: what future results would cause you to discard the hypothesis that CO2 is not causing warming? For example: if each of the next 12 months exceed the baseline, resulting in at least 30 consecutive months above the baseline and encompassing an El Nino and a La Nina, would that be enough evidence to reject the hypothesis? Or, if we look at decade averages, and find that each decade since the 1980’s was warmer than the one before it, for three decades in a row, would that be convincing? If not, is there another criteria involving future data points that would justify rejecting the “no warming due to CO2” hypothesis? it is up to the AGW crowd to prove their hypothesis. It is foolish to try to turn this around and put the obligation of proof on skeptics. And the AGW hypothesis is collapsed for lack of warming. So please return to HotWhopper. Thank you for this. Your point gets at something I have been interested in for some time. The evidence for global warming, and human causes of that warming, is massive. A good summary is at http://www.ucsusa.org/our-work/global-warming/science-and-impacts/global-warming-science#.V3uX0PkrKM8. But I am sure you have seen much more data as well. From this and other considerations, most scientists have concluded that human activity is raising the planet’s temperature. And yet I know that some people, including a small percentage of scientists, are not convinced by this evidence. So the question is similar to my first question above: what additional data or evidence would be convincing in your mind? In other words, what developments would be adequate to constitute “proof” to you, beyond what is already observable? I am not trying to be cute or insulting. I am honestly mystified why some intelligent and informed people still don’t accept what appears obvious to so many others. I would appreciate your insights. Thanks. 1910 to 1945 warming equivalent to 1975 to 2003 warming. Yes, but from different starting points, right? In other words, a sizable increase from 1910 to 1945, then an increase of similar magnitude from 1975 to 2003, but the later period started at a higher temperature. This is from longer term data than that available for satellite measurement, such as at http://climate.nasa.gov/vital-signs/global-temperature/. I think the basic point is that there are periods of sideways movement, even decreases for short periods, but the overall trend is up. This amounts to about 1 degree C over the past century. And the satellite record shows no warming since then. So your “massive” evidence is nothing but massive stupidity, David Overton. – Source A provides evidence about a subject, which supports a specific conclusion. – Source B may support a different conclusion. – Therefore, source A is “stupid”. We could easily turn this logic around: Some data suggests that human activity is not affecting the climate. However, other data indicates that it is. So, the first set of data must be “stupid.” I think you would agree that logic does not hold up. If you are still up for it, I would be interested in your thoughts on my prior question: what evidence would convince you? I don’t think is it enough to say “I have found some data that supports what I choose to believe, so no additional data can convince me otherwise.” But maybe that works for you, and if so that is ok.
A reasonable question. Reasonable replies are hard to come by here. Why do you not give a “reasonable reply”, Barry? mpainter – it looks like on this site once you get several levels down in the comments there is no longer a “reply” option. Frustrating, because that is just when the conversation gets good. i will admit that the science is complex and not always unambiguous. But there is a mountain of evidence for AGW, against a much smaller amount of counter evidence. Still, I know that many people are not convinced, so my question is what additional data would be convincing? Your question above is “it is up to the AGW crowd to prove their hypothesis”. So my question is “what would represent proof to you”? I will admit that the science is complex and not always unambiguous. But there is a mountain of evidence for AGW, against a much smaller amount of counter evidence. Still, I know that some people are not convinced, so my question is what additional data would be convincing to you? David I can give you several checks for yourself, to see if you’re worth answering in any of this. Tell me the name of the law of thermodynamics for solving temperature of gas and atmospheric mixtures. you’re going to be over your head, even discussing how one calculates temperature of air. If you can’t do it, because you don’t know how, you can’t critique it. That’s just how it is. I can falsify the green house effect through the fact the sun-side infrared stream in the relevant spectra is five times the earth’s stream of that same light. It is impossible for blocking five times as much thermal energy in, to equate warming. That is defined, as cooling. Furthermore I can falsify the green house gas effect through usage of the law of thermodynamics for solving temperature of atmospheric or gas mixes. It forbids it, specifically and formally, through assigning every gas in atmospheric mix, identical energy using the factor you know the name of, if you know the name of the law, of thermodynamics, for finding out temperature of air. If you don’t know that law then you’re done. Because you’ll have no way of knowing it’s true, or not. Furthermore you can falsify the green house effect through summing the total effects of an atmosphere on a sun warmed rock, in a vacuum; just stepping through it all. The sun is a broad spectrum yellow fire source, extremely common type energy source, characteristics of heat from sunlight are exquisitely well known. The earth: a rock in vacuum. Spinning, it is illuminated by the light of the fire, that is Sol. modes of energy out are one: radiant. Got the name of that law of thermodynamics to find out the temperature of air yet? We’ll all wait, you continue searching for that. I’ll let you know if you’re right or not, because I’ll start describing how that law specifically forbids there being ANY green house gas effect of ANY kind. Now: planet in vacuum, sun warmed rock in vacuum: full temperatures are a function of: a mass, being impinged upon by a full, undiminished light load which thermalizes to whatever amount of heat. Now. Add atmosphere. When you add it what is the very first thing that happens? You have added an additional mass. What is it’s temperature? Colder than the rock it blankets. Tell me now: how does a cold fluid gas blanket warm a rock, to a temperature hotter, than when there WAS no cold blanket? You tell me. I’m a 40 year applied biological, atmospheric, and physical chemist, and have a degree in electronic engineering, in a field named radiation communications: modulating or altering radiation so it has an intelligence component laid onto it, then radiating it though the atmosphere, space, & whatnot; combing the radiation emitted, back out – then combing the intelligence off that. In other words the same thing as all radios and tvs. The communications for your solar system and mars probes, that sort of thing. no cold fluid bath washing heat off into an additional, colder mass. Your claim of a green house gas effect just got falsified. fractional species gases in the atmosphere. Blue skies from oxygen diffraction/scattering are one of these fractional component loss sources: blue light hits oxygen, we see blue sky, the earth never gets impinged with the blue light seen from outside the planet in photos. The slight blue haze of the atmosphere there’s a couple of individual percent there. The name of that class gases is the ”Green House Gases” which are responsible for about 20% sunlight energy never reaching earth surface sensors. Created by that additional colder mass, the fluid gas bath. When surface energy density is one level and a type gas reduces surface energy density from what it would be, if they weren’t there, that’s called cooling. reduce the surface energy density by 20%, that is surface energy density reduction. That is named cooling. When the freezing cold nitrogen envelope is conduction washing energy off the surface of the planet, the green house gases are also doing the exact same conduction washing when they touch the surface. This form of conduction loss from the surface by the overall nitrogen bath is called cooling. A cold fluid bath, touching a sun warmed rock, cools that rock. I didn’t ask you, I didn’t really opine it, I stated it to you as a professional chemist, and professional radiation electronic engineer. These losses to the atmosphere are known as conduction cooling. Those first losses caused SOLELY by green house gases: the diffraction losses – that is called diffraction cooling: shading. When the conduction losses are going on one gas alone is known for it’s phase change refrigeration cycling where it sits on the surface as liquid or solid and evaporates taking heat with it. It rises convectively bringing other gases with it, taking it’s place at the surface etc as it rises, enhancing standard conduction cooling. This convection effect also accelerated by the phase change aspect are further accelerated through the gas changing phase at the top of it’s rise due to being energized with surface heat. When it loses sufficient energy that it’s temperature drops some it changes phase a second time falling to earth much, much swifter than those gases which cool similarly, but don’t contract to become solids falling. This falling is not just much faster it also, happens in a cycle each time there is an evaporation/phase change event: the gas changing phase to solid – ice – falling through the nitrogen/oxygen atmosphere, evaporates and rises yet again – and again – many times until finally the AIR COLUMN ITSELF through which the water – the coolant GREEN HOUSE GAS WATER – falls. do what? COOL the surface, and the atmosphere itself. So I have again falsified your heating from green house gases story by showing you green house gases cooling THREE DIFFERENT WAYS through well known mechanisms. gas or class of gases. so we can know, you really have sense enough to be able to do things like – find out the temperature of air on your own, so you know if others are right. Because if you can’t calculate the temperature of air then – your word’s worthless regarding someone else’s claim, that they calculated the temperature of air. So you help us out here by showing me at least, you’re even remotely able to defend your claims, that there’s a mountain of evidence magic makes the sky hot when people use fire. Remember David Overton you told me and people in general ok, that there is a mountain of evidence that magic cold gas, is warming the object it is conductively cooling. and WASN’T being washed of heat by a FRIGID FLUID BATH. So I just falsified your Green House Gas effect right there. and WASN’T being WASHED in FRIGID, TURBULENT FLUID. and just make us believe it. Or your claim is falsified. but – we haven’t really even had to open a book here thus far, have we? and WASN’T washed by FRIGID FLUIDS. Made WARMER through DOUCHINGS with magical, frigid fluids, is what you claim. I said bullshoot and that I don’t have to crack a book to stop you in your tracks. and was NOT being washed by the frigid fluid gas bath. I am sorry to have put you to this much trouble. I am not a climate scientist, and have not claimed to be. As you are probably aware, most scientists have reached very different conclusions from yours. They would be in a much better position to respond to your points. Most people rely on experts for most aspects of their lives – we get advice from lawyers, medical doctors, technicians, etc. I doubt many people in Congress have an understanding of climate science that would enable them to understand anything you have said, and yet they vote on laws related to climate change (and other technical fields they don’t have deep backgrounds in, such as the economy, healthcare and foreign relations). And, as you are probably aware, even the minority of scientists who are skeptical about the severity of future warming accept the basic principle that increasing GHG levels increase temperatures. 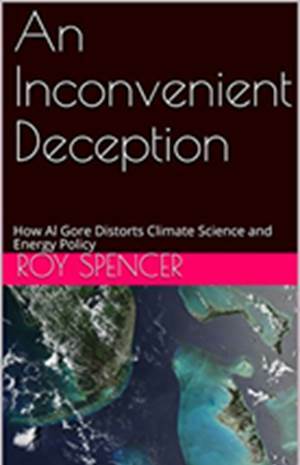 Dr. Roy Spencer does not dispute the idea that that changes in GHG from burning fossil fuels increases the earth’s temperature. He says: “Greenhouse components in the atmosphere (mostly water vapor, clouds, carbon dioxide, and methane) exert strong controls over how fast the Earth loses IR energy to outer space. Mankinds burning of fossil fuels creates more atmospheric carbon dioxide. As we add more CO2, more infrared energy is trapped, strengthing the Earths greenhouse effect. 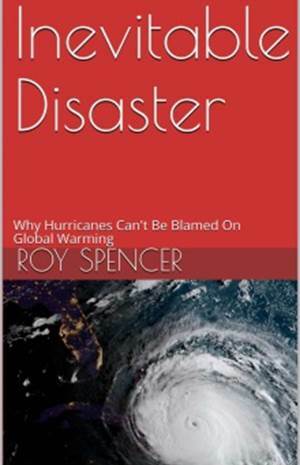 This causes a warming tendency in the lower atmosphere and at the surface.” (http://www.drroyspencer.com/global-warming-101/) I think you are in a very small minority on that point. I hope you can appreciate my situation, which is similar to most people. A very large majority of climate scientists have concluded that GHG levels have an effect on the earth’s temperature. Even those skeptical that climate change is a serious issue, such as Drs. Spencer, Curry, and Lindsen, fully accept the idea that changing GHG levels change the earth’s temperature. Given a choice between you and virtually every other relevant scientist and scientific organization, it is not a hard call. To be clear, your data set is neither the land-based thermometers nor the new ‘apples-and-oranges’ land-ocean index, but simply, and only, satellite-based Global Lower Atmosphere — thus should show something sorta-equivalent-to a gain in atmospheric heat content if rising and a loss of atmospheric heat content if falling? University of Alabama at Huntsville (and Remote Sensing Systems) analyse other levels of the atmosphere, as well. There are FOUR files which can be accessed above. The files also give regional numbers. The “global 2-meter anomaly”, through the first week of July, is “subdued” and not different from June. The Accumulated Cyclone Energy for 2016 is much below comparable 2015, and close to 1981-2010 average, so far. The National Snow and Ice Data Centre analyses have been resumed, as the satellite difficulties have been resolved. The ARCTIC Sea Ice, in the middle of its annual melt, is at the level of 2014. The pattern of the last decade is continuing, in which open areas of sea, to the north of Eurasia, have less ice than heretofore, while the Central Arctic Basin is unaffected. The ANTARCTICA Sea Ice, in the middle of its annual freeze, is at the normal level for this time of year, per calculations from 1981-2010. 5 months do not make a trend, but I do note that the lower stratospheric temperature has dropped for 5 months in a row. Although it has had much fluctuation, it has overall been generally flat for the last 21 years. Its trend is not consistent with AGW theory with persistent falls occurring only on the heels of major low-latitude volcanic eruptions. Presumably, you refer to the stepdowns following El Chichon and Pinatubo. Interesting about the cooling. Perhaps these last five months reflect present minimal solar activity. Did we have a major mid-latitude eruption recently? Lots of variability. The overall trend is down. The longest period tells the soundest story. The last 21 years has a cooling trend, even without the last 5 months included. Wrong again, Barry. About as wrong as one can be. There has been no cooling of the lower stratosphere since 1995. Well – that’s debatable but what isn’t debatable is that Phil Jones, the world’s number one climatologist, was seen saying in an email to scientist john christie that ”the scientific community would come down on me in no uncertain terms if I said the world cooled since 1998. Ok it has but it’s only seven years of data (every year since ’99, in ’05) and it isn’t statistically significant. that he’d done the math and there had been no warming since 1995, and that there had in fact been some cooling. it didn’t warm a WHIT since at LEAST 1998. The fact is, THOSE green house gas concentrations have increased by a third, with NO warming. And YOU remain UNABLE to TELL ME the name of the law of thermodynamics, for solving temperature of gas/atmospheric mixes in chemistry. Until you can you remain a posing fake, who being unable to find out the temperature of air, is incompetent to critique those of us who ARE atmospheric chemists and can. You have no way of KNOWING which of us is right until you are able to at LEAST tell us the name of the law we use to calculate the temperature of gas. And you need to tell this forum what the equation is: what the factors in it mean. Or you’re just another posing fake, who can’t even find out the temperature of air to check your SELF. You don’t have a way to check anyone ELSE, either. Because authority worship is what had you being taught pot is like heroin, man created the ozone hole, and that until about six or eight years ago, the only really GOOD love, was D.O.M.A. love. So your so called ‘authorities’ haven’t got credibility as anything but chemistry fakes having the morals of a giant money worshipping empire. Tell me the name of the law of thermodynamics for solving the temperature of air in atmospheric mixes, or you’re a posing fake. Period. Trend is -0.04C/decade Jan 1995 to Dec 2015. As wrong as can be would see a positive trend for that period, I should think. It’s not much. And it’s statistically insignificant. But you don’t do statistically insignificant, so I guess we’re stuck with -0.04C/decade. For stepdowns in the lower stratosphere temperature anomaly, see UAH data, which is comprehensive since 1979. No cooling except at the stepdowns after V5 volcanoes. No comment on the cooling since 1995? What volcanic eruption caused the recent downturn of lower strat temps? Barry, I’m convinced that you have an impairment of your faculties of comprehension. I addressed the recent cooling immediately above. Do you have a better idea? You are a very tiresome fellow, with your uncomprehending comments. I have a hard time getting excited about -0.04 per decade. The variability around volcanoes greatly exceed that. There is no foreseeable catastrophe coming from that trend. The lowest figure in the satellite record for the lower stratosphere was for the month of November 2000*, in both the UAH and the RSS data series, i.e. ALL of the subsequent 181 months have been higher. Therefore we can say – as far as these series are concerned – the REALIZED movement has been (miniscularly) upwards for the whole of the twenty-first century. Of course, FIVE seconds of looking at the Chart (RSS provides a Chart) tells you TLS has had inconsequential trends for many years. Inquirer it’s your own belief system that has failed. Your intellectual leadership, the ones caught believing a hockey stick generating program was real mathematics interpretation of tree bores. It’s your intellectual leadership who got caught claiming the world was going to warm and, that it was going to be catastrophic. That started forty years ago. Your leadership Gore told us – he consulted the scientists: more, larger storms, great floods, massive weather changes. Nothing. Not a f****g thing except the most stable weather in measured, human history. With Green House Gases belching into the atmosphere at an ever increasing rate, temperatures are barely holding steady at the TOP side of the 30-year half-cycle and now, we’re going into the cooling cycle and it’s gonna get about, .4 THAT way, then back, and forth, until the big chill. And there’s going to be no more warming of any consequence. There will however be an ice age destroying everything enjoyable about this warm OPTIMUM time. Do you even know the name of the law of thermodynamics for checking the temperature of air or gas, in chemistry? Do you have some qualification measuring anything in your life? Because you don’t speak like someone who’s a competent atmospheric specialist, you speak like you majored in drama at school, and decided to be a programmer. A programmer like James Hansen, whose programs for modeling the climate don’t include the warming component handled by compression mathematics, hydrostatic equations. What is your understanding of the hydrostatic equation component of gas chemistry temperature calculation? Can you check gas chemistry calculations for the hydrostatic component so you are smart enough to know James Hansen’s ‘green house gas’ climate models don’t have it, and instead, claim there is 30 degrees of magic, heating the world up, so when you use fire, it makes the sky get hot? I say you don’t have the chemistry education of a college dropout much less a college graduate. name and explain what the factors mean. Since you can’t do that your word’s worth someone’s who couldn’t check to see who was right about all this if your life depends on it. You simply don’t have the intellectual chops to name the law, tell us the equation, point out the green house gas factor of it or show us all why the law formally forbids there being any green house gas force at all. When you run through a checklist you ignore unexceptional readings and move on. If the oil pressure is supposed to be between 40 and 45 p.s.i. and is actually 43.6 you put a tick to make it clear you looked at the guage, but you discard the actual number. However, if the pressure is actually 38.7 you write THAT down for the maintenance guy, and initial it. He may or may not do anything about it…he will make a judgement as to whether it matters. but the ESSENCE is that you did not notice it was a game of two trends, with an up-trend turning into a down-trend as the insiders decided to fleece you. I am puzzled. If you look at http://climate.nasa.gov/vital-signs/global-temperature/ Nasa’s websites, their temperature graphs show something completely different than this website. I thought Dr Spencer’s method was used?! Didn’t he used to work at Nasa? Could someone explain me why they are different? If there are different methods, how can someone even dream of coming to a conclusion? We will never even agree on what we observe, so you can’t be right or wrong. “How many angels can dance on the tip of a pin?” stuff.